We offer custom configured Coolant Wizard, Oil Cleaner Test Kit, Coolant Recondition System, Electrostatic Oil Cleaner, Oil Separators, Vacuum Dehydration Units, Wastewater Treatment Plants, Skimmers etc., as per client's requirement and installed with complete support. 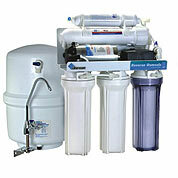 These systems meet the fluid management need of Reverse Osmosis and Ultra Water Purification units. For industrial applications, reverse osmosis systems must meet high standards, as it is not enough to achieve just a certain permeate quality in operating a reverse osmosis system. It is also necessary to get a good recovery rate combined with a low energy consumption. Our HERO- (high efficiency reverse osmosis) Microfiltration/Reverse Osmosis systems are best suitable system for this purpose. Widely used by leading companies worldwide, this technology is known globally for wastewater reclamation. 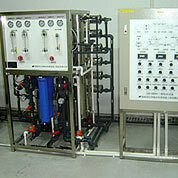 Most suitable reverse osmosis membrane is used for each application to ensure correct pretreatment. Based on water analysis, the reverse osmosis membrane is selected to find the best membrane for the end-application. 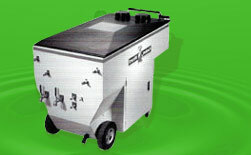 The reverse osmosis units range from 100 L/h to 400 L/h. In addition to relatively simple applications, special applications can also be employed such as recovery of chemicals, recycling of water or treatment of wastewater in these reverse osmosis units. Most advanced generation of ion exchange technology is employed to manufacture water purification systems. Virtually a chemical-free process, the technology uses ion exchange resins and electricity to produce ultra pure water in these water purification units. The water purification systems are environmentally friendly, which can be operated with continuous production at extremely low operating costs. Complete range of supplementary equipment is also supplied to fit various system requirements.  The ion exchange resins are primarily utilized as a bridge to operate the modules without any concentrate recycle. Additionally, the ion exchange resins are used to polish the purified water stream by removing minute quantities of contaminants. The ion exchange resins are continually being regenerated by the dissociated hydrogen and hydroxyl ions.